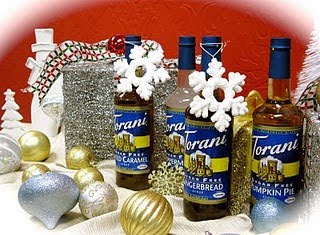 1 bottle of Torani's brand new Sugar Free Salted Caramel. Also be sure to experiment with the recipes Shelly has for Salted Caramel Hot Chocolate! OMG!!! That was one of my favorite former-life Starbuck's treats. The salty taste really balances the sweetness of the over-the-top hot chocolate. And, it's perfect on a cold night with fuzzy pajamas, a good book, and a log on the fire. Thanks Shelly for posting the contest!